Daniel Wennermark Rosell wants us to look into the grand scheme of things, and I can’t find an objection for his sentiment. 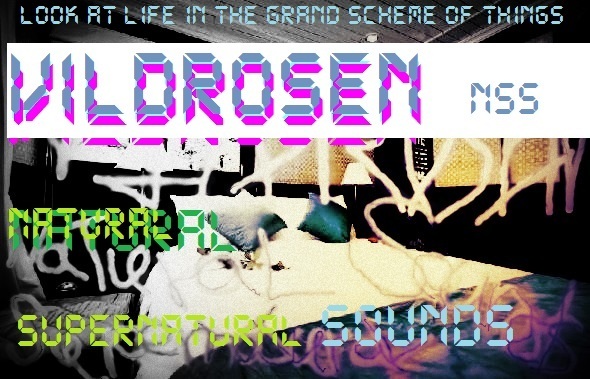 His ambient/trance electronic project called Vildrosen definitely has a revolutionary, spiritual focus to it, as becomes evident when listening to his extremely trippy track called “Look at Life in the Grand Scheme of Things”, which also comes with a similarly trippy music video that I would not recommend viewing while on psychedelics. It’s heavy on the repetition of the message and also quite glitch-focused, similar to acts such as Cevin Key’s Download, although it seems like Daniel is still finding his sound. The words come in and out of the mix like s subliminal message urging you to expand your awareness.